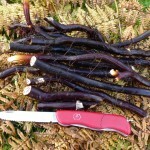 Salal was founded for the purpose of forwarding the science of foraging. Our business model directs revenue from a large percentage of our product sales towards research initiatives that are related to ethnohistory and ethnoecology. The following is a list of our current, proposed, and published research initiatives. Abstract: Wild rice isn’t native to the Pacific Northwest, and references to the dietary use of grains by Indigenous People of this region are almost entirely absent from the ethnobotanical literature, yet by the 1920s, wild rice was being harvested from the banks of the Fraser and Pitt Rivers. This interdisciplinary project explores how wild rice was introduced to the Pacific Northwest and the extent to which it was adopted by Indigenous People. 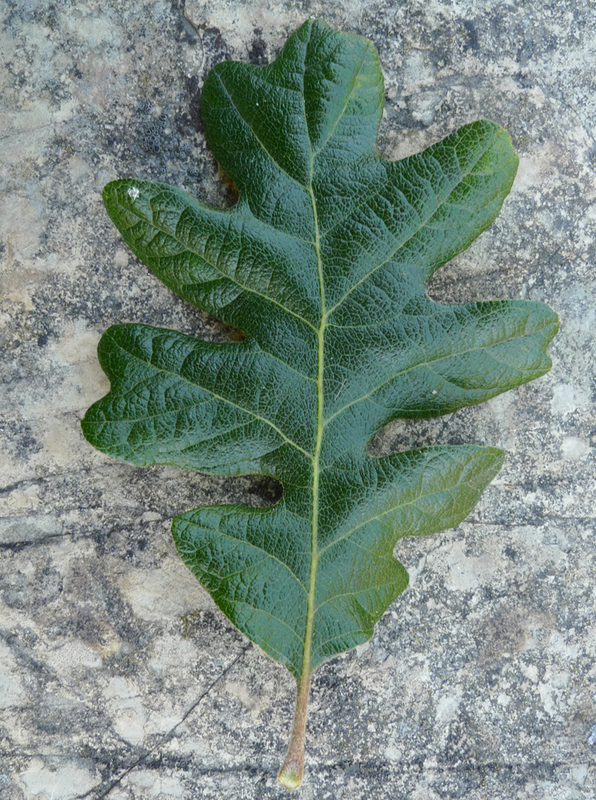 Research methods embrace linguistic, historical, and plant genetic tools. Abstract: In 1846 the treaty of Washington established the 49th parallel as the boundary between the United States and British North America between the Strait of Georgia and the Continental Divide. The exact location of this line remained unclear, but economic prospects resulting from the discovery of gold in the Thompson River valley in 1856 necessitated the location of this imaginary line on the landscape. Just thirty years after Fort Langley was established, and on the heels of the region’s first pioneers, the Northwest Boundary Commission began to establish the international boundary eastward from Pt. Roberts. First Nation guides and porters were employed by survey teams as they carefully mapped the Lower Fraser, Nooksack, and Skagit river valleys and nearly all the intervening peaks and ridges. We are working to transcribe and edit the narrative reports from the US survey expeditions that took place from 1857 to 1859. Many of these reports have never been published and provide extensive documentation of aboriginal place names, intriguing glimpses into indigenous foods, and detailed accounts of the landscape as it was managed by the region’s First Peoples. The season is ripe: a phytochemical exploration of harvest timing. Abstract: The perceptions of our palate are among the strongest factors that determine what we eat. Proper harvest timing maximizes pleasant flavors and minimizes those that are unpleasant. This process is mediated by a body of Traditional Ecological Knowledge (TEK), but in some cases, food traditions have become fragmented and there is no longer sufficient TEK to guide those interested in revitalizing the use of some ancestral foods. This project explores seasonal phytochemicals fluctuations of a wide range of indigenous food plants with the goal of rediscovering appropriate harvest seasons. The effect of post harvest processing (e.g sun drying) and basic nutritional analyses are also performed when appropriate. Destructive harvest or beneficial pruning? 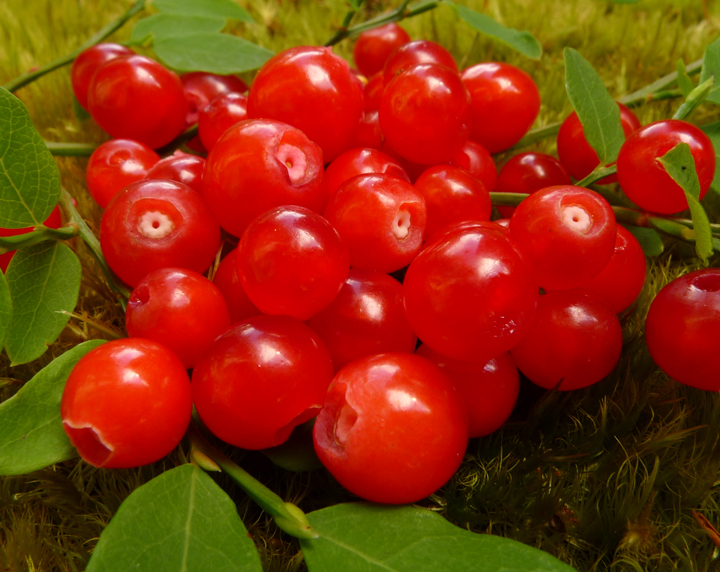 The effect of traditional Red Huckleberry (Vaccinium parvifolium) harvest practices on berry size and abundance. 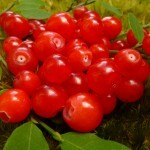 Abstract: Many Indigenous red huckleberry harvesters have a tradition of snapping off berry laden branches and subsequently picking the berries. Such an intensive harvest method superficially appears to damage the red huckleberry bush by removing biomass and energy producing leaves. However, we are exploring the hypothesis that this harvest time pruning actually stimulates future berry production by the same mechanisms that pruning an apple tree stimulates the production of more apples. 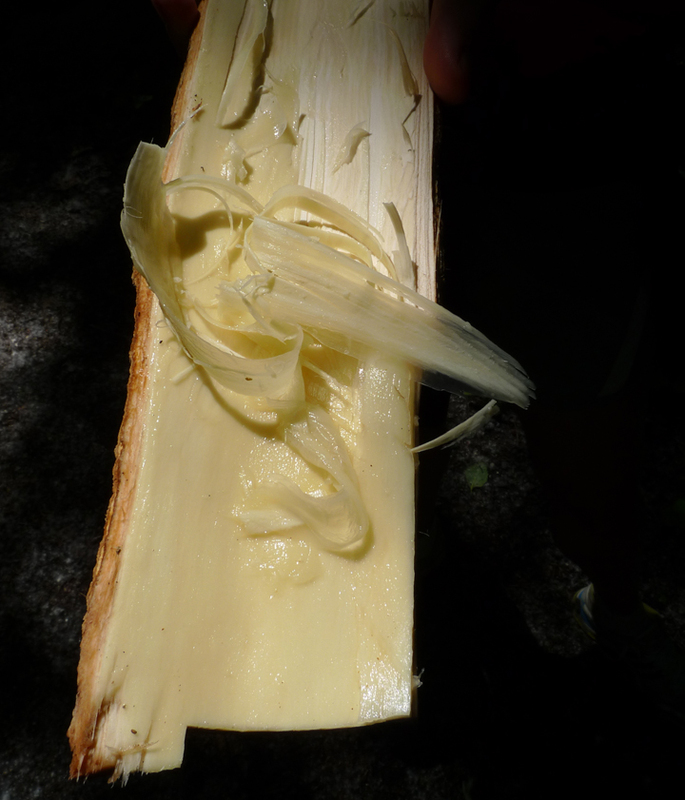 Tree eaters: phytochemical ethnobotany of Pacific Northwest cambium harvest. Abstract: The cambium from more than 6 genera of trees were traditionally eaten by Native Americans in the Pacific Northwest. This project explores the ethnobotany of use as well as phytochemical changes throughout the growing season that affect the palatability of edible cambium. Cultivating plenty: the effect of management on the caloric density and labor efficiency of Pacific Northwest Indigenous Foods. 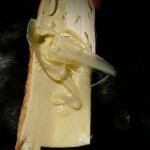 Abstract: This is a long term project that explores several indigenous foods that were historically managed. We experimentally replicate traditional management and measure the effect of that management on harvest abundance and efficiency. Several other projects have components that fit under this umbrella. Bracken Fern, managing the broken food. Abstract: The rhizomes and tender young stalks of bracken fern (Pteridium aquilinum) were widely eaten by Native Americans on the west coast of North American (and are still eaten in parts of Asia), yet today, few people know of their use and many regard them as poisonous. Many Indigenous groups had special places for collecting bracken fern. These places were maintained with annual soil disturbance (and in some cases fire) in a manner that favored a renewed abundance of edible bracken ferns. 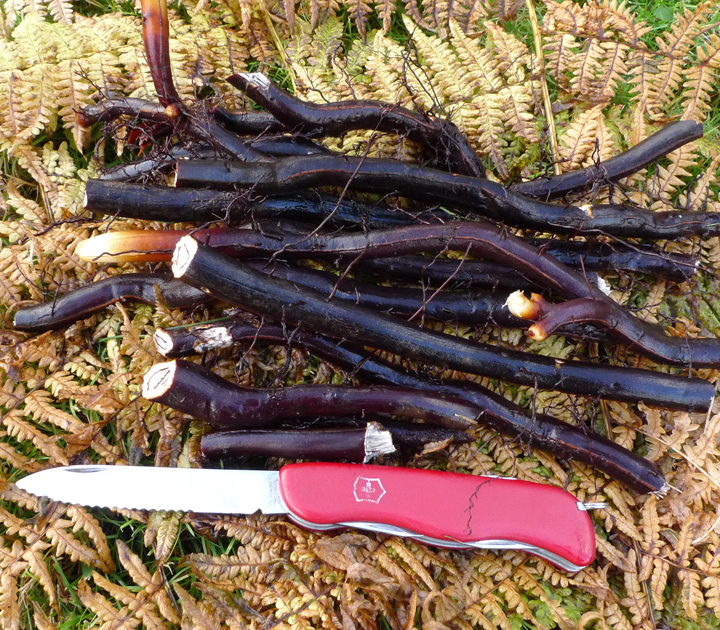 This project explores the ethnobotany and toxicology of bracken ferns as well as the effect of annual root harvest on the long term abundance of bracken fern colonies as a means of assessing the potential culinary value of a nearly forgotten root and shoot vegetable. The effect of Native American firewood harvesting on the near-village landscape in the Pacific Northwest. Abstract: Firewood was used for cooking fuel and to heat homes by Native Americans in the Pacific Northwest, yet the ecological impact of firewood harvest has been ignored by landscape ecologists attempting to reconstruct precontact vegetation conditions. This project extrapolates the yearly biomass demands for fuel using ethnohistoric population data and cooking/heating patterns that are compared to forest growth rates in order approximate the impact of firewood harvesting on the near-village landscape. Rebreeding the Salish Wool Dog. 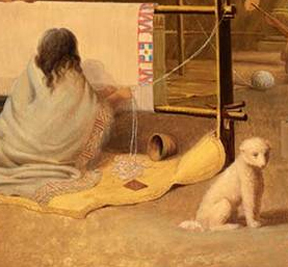 Abstract: Prior to European Contact, Salish weavers carefully maintained a small dog with long white fur that was used in weaving ceremonial and utilitarian blankets. During the early settlement period this dog became extinct. 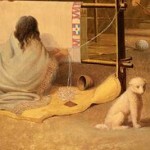 By retrieving Salish wool dog hair specimens from blankets preserved at museums, modern techniques of DNA analysis make it possible to determine the extinct dogs closest living relative. Community based breeding efforts would then make it possible for contemporary Salish weavers to rebreed their ancestral wool dog and once again fill their looms with indigenous wool. Eating like a mountain; measuring the resiliency of Indigenous and agricultural food systems. Abstract: Performance indexes enable industry leaders and policy makers to make objective cost/benefit decisions. This project develops the Food Systems Performance Index (FSPI) as a means of assessing the ecological and social sustainability of a variety of food systems. As an inaugural project, we explore the FSPI of the entire Skagit watershed as it is currently managed as well as a hypothetical measurement of the same watershed under pre-contact Native American management. Indicators: Soil loss/gain, Species richness, fossil energy used, Calories produced, Nutrition, Biomass produced, Water used, discharges, labor, Value added, Distance from source to plate, $, population. 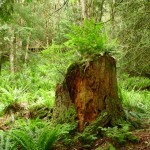 A trees legacy, stump surveys as a method for assessing the precontact forest cover of the Chuckanut Mountains. Abstract: Local historians and ecologists have used scant written records and a few early photographs to argue that the Chuckanut Mountains were managed as a Garry Oak savannah by Native Americans prior to European Contact. This project adds a layer of ecological data by surveying the distribution of extant old growth stumps in the Chuckanut Mountains. Abstract: This project aims to survey the size, species, and health of Bellingham’s street trees. Final products will include a report and a GIS map/database. 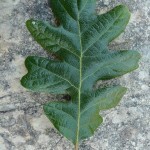 Species descriptions, photographs, and notable specimen locations will be included in the report. Lloyd, T. Abe 2015. Beach Pea, and Enigmatic Edible Douglasia, the Quarterly Newsletter of the Washington Native Plant Society, Summer 2015, Vol. 39 No. 2, Seattle WA. Lloyd, T. Abe 2014. Natural and Cultural History of Secret Harbor, Cypress Island, WA. Report prepared for the Samish Indian Nation Department of Natural Resources, http://www.samishtribe.nsn.us/data/wp-content/uploads/2014/04/Secret-Harbor-Report-Final.pdf.